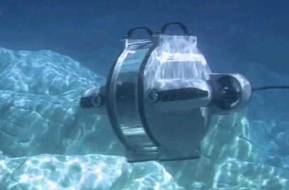 Wireless subsea technology is becoming a fundamental part of the oil and gas industry worldwide. 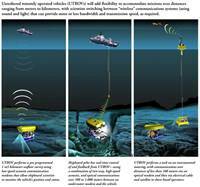 Back in 2010, Woods Hole Oceanographic Institution (WHOI) scientists and engineers announced testing of an undersea optical communications system that, complemented by acoustics, enabled a virtual revolution in high-speed undersea data collection and transmission. Acoustic techniques were developed, which are now the predominant mode of underwater communications between ships and smaller, autonomous and remote control vehicles. 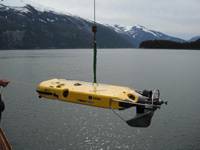 However, acoustic systems, although capable of long-range communication, transmit data at limited speeds and delayed delivery rates due to the relatively slow speed of sound in water. Some interesting trends are developing within the O & G industry, one of which is the trend towards increasingly automated drilling. 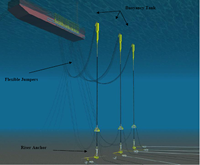 Since the early stages of onshore and offshore drilling, the act of drilling itself has been undertaken as a hands-on job by specialized workers, along the last decade this has begun to change with the introduction of autonomous computer-controlled drilling operations, also known as drilling automation. 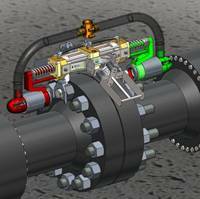 Oil and Gas operators are developing technologies which they hope will allow drilling operations to be automated, consequently meeting their safety goal of zero people hurt on the job and also reducing drilling operation costs. The Polar Onyx is arguably the most modern PLSV working offshore Brazil. 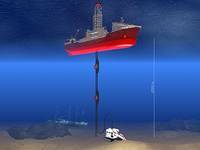 It is a good example of how Petrobras is demanding high-powered PLSV’s and OSV’s in general to tackle the harsh environments found in Brazil’s deepwater plays. The high capacity new-built is designed for operations in harsh conditions and deep waters and is configured with an Ulstein X-bow. It is built to the highest standard in dynamic positioning, DP3 (Operations +). Final outfitting took place in Schiedam in the Netherlands, where Huisman has installed a 275t vertical lay system (VLS) and a deck-mounted carousel with capacity for 2,000t of flexible pipes. Two permanent work-class ROVs delivered by Ceona’s partner ROVOP, which can operate in 3,000m water depth, were also mobilized in Schiedam. 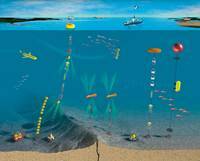 The recent agreement reached on deep sea mining by the Canadian mining company Nautilus Minerals and the government of with Papua New Guinea highlights the importance of deepwater technology developed for the O&G industry. The project will extract ores of copper, gold and other valuable metals from a depth of 1,500m. Nautilus Minerals, has been interested in mining the seabed minerals off Papua New Guinea (PNG) since the 1990s but was locked in a lengthy dispute with the PNG government over the terms of the operation. Under the agreement just reached, PNG will take a 15% stake in the mine by contributing $120m towards the costs of the operation. Cobalt International Energy recently said the drill stem test results at its Lontra 1 pre-salt well off Angola were "exceptional, with excellent quality reservoirs that are better than we had expected". This may be the first major pre-salt find in WA that matches some of the huge pre-salt plays uncorked in Brazil. Drilled to a depth of 4,195 meters (13,843 feet) and penetrating some 75 meters of net pay, Cobalt said that, "while further appraisal drilling will be required to determine the ultimate size of the Lontra field, it is clear that Lontra is a discovery on a global scale”. 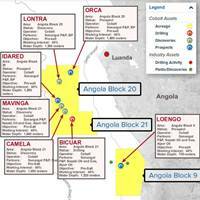 Lontra is a pre-salt prospect off Angola in Block 20. The Carcará oilfield off the Brazilian coast is named for a bird of prey that is liberally known as the Brazilian Eagle, its scientic name is: Polyborus Plancus. Carcará located in Block BM-S-8 is believed to hold one of the thickest reservoirs ever discovered in Brazil's Santos Basin pre-salt cluster, with a reservoir thickness of 471 meters. The play is being developed by a consortium composed of Petrobras (66%), Galp Energy (14%), and Brazilian players QGEP and Barra Energia with (10%) each. Tested flow rates and reservoir conditions at the Carcará discovery are superior to the famous Lula field. The Lula field, which is currently producing about 100,000 bopd, is estimated to hold recoverable reserves of between 5 billion and 8 billion boe.